As the political parties prepare for the 2019 elections, the Presiding Bishop, Divine Seed of God Chapel Ministries, Ibadan, Prophet Wale Olagunju, who had prophesied the emergence of Alhaji Atiku Abubakar as the PDP presidential candidate, as well as his reconciliation with former President Olusegun Obasanjo that all came to pass has again predicted that no force could save President Muhammadu Buhari from defeat at next year’s election. He also gave an insight into the choice of former governor of Anambra State, Peter Obi, saying that Senator Ike Ekweremadu was a better choice made by God. You once predicted that Alhaji Atiku Abubakar is in the mindset of God to emerge as Nigeria’s president in 2019, now that he has won the ticket of his party, the Peoples Democratic Party (PDP), what should Nigerians expect since a keen contest is eminent between the incumbent and Atiku? Let me congratulate President Muhammadu Buhari for winning the ticket of his party, the All Progressives Congress (APC), and let me also make it clear to him that he will lose to Atiku Abubakar. Let me also congratulate Atiku in advance because he will win the next presidential election come 2019. Let me say, as a matter of fact, that Buhari does not need an Alfa or prophet to deceive him that he would win the election, for as God lives, he would lose. What the present President of Nigeria and the ruling party would rely on to have their from Buhari. You remember I predicted the return of notable APC members back to their former home, to be frank, big guns in APC will soon decamp and begin to campaign for Atiku. It is then that Buhari and the so-called APC will realize that the party is as good as dead. With Prof Yemi Osinbajo, a Christian pastor running with President Buhari for the second term and considering the Yoruba and religious factor, do you think Nigerians will vote for Atiku, who just as you predicted, has picked an Igbo running mate? First and foremost, I am highly disappointed in Yemi Osinbajo. He has failed God and the entire Christendom; he ought to have resigned by now because to me, his integrity as a pastor is in doubt. He is in a government where they are killing his Christian brothers on daily basis and he sat there, folding his arms. With Osinbajo or not, Buhari is destined to lose the 2019 presidential election. To be clear, Buhari is on his way to Daura come 2019. I can confirm that the Yoruba will not vote for Buhari, but for Atiku and let me say this that only a mature son of the devil pastor will support Buhari. Let Buhari assemble his hungry Alfas and pastors to pray for way is rigging, just as it happened in Ekiti and Osun states recently. It is very obvious that they will rely on rigging, but as revealed to me by Almighty God, I want to assure Nigerians that they will fail. To be precise, Buhari will not be the president to be sworn in, come May 29 2019. In your 2018 prediction you said that former President Obasanjo would forgive and throw his weight behind the ambition of Atiku Abubakar for the presidency in 2019. Events in the last two weeks have confirmed this, is there anything bigger for Nigerians as regards the 2019 presidential election? Nigerians and the world at large would want to know what further message you have from God? With Obasanjo’s endorsement of Atiku as a better candidate than Buhari, he has fulfilled all biblical righteousness by forgiving Atiku as required by God. Obasanjo congratulated Atiku for winning the ticket of his party. So, I am standing on my prediction that, he will not only forgive Atiku, but will also support and throw his weight behind him to win the election. I affirm, with the blessing of Obasanjo now, that the coast is clear for Atiku to take over him, as God of heaven lives, they will fail. That is just the message from the Almighty God. In your 51-point prophecy released for 2018, you prophesied that only an Atiku/Ekweremadu ticket would be strong enough to unseat Buhari. With the look of things, particularly with the selection of ex-governor Peter Obi as Atiku running mate, are you still certain of victory for the PDP candidate? Yes. Victory is certain for Atiku. Peter Obi is not better than Ekweremadu. In the sight of God, Ekweremadu is better than Obi. We are all witnesses to the fact that controversy trailed the nomination of Peter Obi. The fact of the case is this; you will discover that the APC-led Federal Government is waging a serious war against Ekweremadu, so that is why, to my mind; the PDP leadership decided to pick Obi. Based on your prediction, now that the immediate past governor of Ekiti State, Ayodele Fayose has left office, what fate do you think may befall him? First and foremost, I stand by my prediction. May be by now, Fayose would have realized that nothing, including position of authority is permanent except God. What I said in my prophecy was that Fayemi- led government in conjunction with the Federal Government would deal with him and ground him politically, so I still stand by that. You predicted the rejection of Goodluck Jonathan by God as well as the coming of Buhari and these came to pass. You also predicted in 2017 that God has rejected Buhari because he has disappointed God and that Atiku is on his way to power and also that people will root for him; this is also on its way to fulfillment, what is the source of your power? To God be the glory, the source of my power is from the Almighty God, who created heaven and the earth. I return all glory to His Majesty. With a particular reference to Oyo State, what would the governorship election look like across the country, especially in the Southwest, a zone believed to be the strong hold of the ruling party? The prophet who accurately predicted the 2015 electoral victory of Gen. Mohammadu Buhari in 2015 election has now said that president Buhari will be defeated in 2019 election by former vice president Atiku Abubakar. throughout last year, The Republican News serialised the entire prophecies are they manifested and pretty much of them were accurate. 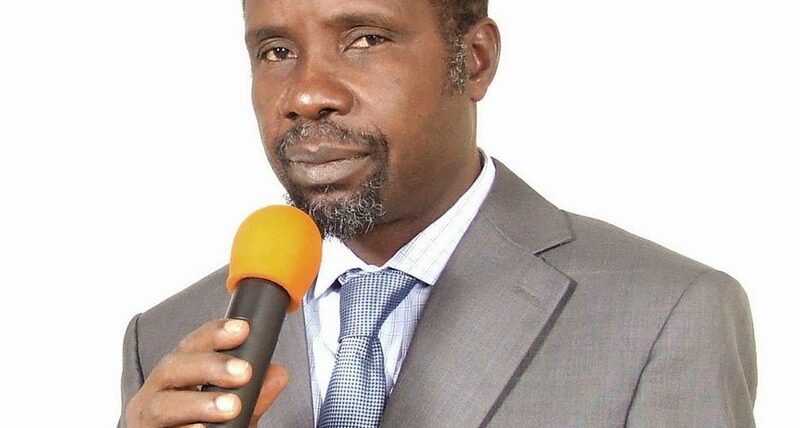 Prophet Wale Olagunju, the presiding Bishop of Divine Seed of God Chapel Ministries in Ibadan, Oyo state, has released his prophecies for 2017. Prophet Olagunju, who accurately predicted President Muhammadu Buhari victory in the 2015 election, has revealed that the Nigerian president will be dethroned in 2019 election by former vice president Atiku Abubakar, The Sun reports. He predicted that the Igbo’s desire for Biafra nation has received divine approval. 1. As revealed by the Almighty God who will never share his glory with mortal man, the present generation of Nigerian leaders in the likes of Obasanjo, Babangida, Gowon, Danjuma, Abdusallam and Buhari will pass away before the emergence of the Messiah that will lead Nigeria to the promise land. The problem in our Nation will be so much that what we are witnessing now will be a child play to what we will see and hear and there will be chaos and distrust all over the nation as a result of which the messiah will emerge. This messiah, an unknown person, will proffer solutions (to the problems); conduct referendum and will break Nigeria peacefully. As revealed to me further by the creator of the universe, the reign of this messiah will be brief. God of Abraham has concluded in heaven to raise for Himself the young man who will give divine solution and execute God’s programme for Nigeria. 2. There is going to be serious fight between Obasanjo and Buhari as revealed by God Almighty. 3. Notable chieftains of the APC and the PDP who are talking of 2019 without due reference to God will not live to witness that year. 4. There is going to be rowdy session in the National Assembly in the coming year. 5. The present war against Bola Tinubu will continue but many of those fighting him will come back to eat their words. 6. God again revealed to me that Nigeria is seriously sick and that the only drug that can cure her is National Repentance Prayer. Failure to do this, God says Nigeria will continue to wallow in problems. God warned Nigerians not to look up to their leaders for solutions but to God Almighty as they have none to their problems. 7. God of heaven says He is angry with President Buhari because of his failure to alleviate the sufferings of Nigerians but instead adding to it. God says Buhari’s government is like a weed on the surface of the Atlantic Ocean. 8. God says those who think the PDP is dead are making a mistake as He [God] does not work in the counsel of men but in the reasoning of His words. God says the party will bounce back and its members in the APC will return to their original house. 9. The present rumpus in the APC will continue. 10. The Nigerian nation will continue to experience hardship unless serious steps are taken to seek the face of God. 11. Nigerians should pray for Buhari against high blood pressure, liver and kidney problem as the President is sick. 12. God says that He deliberately raised Donald Trump of America to execute His judgment on America for their sin of homosexuality being propagated by Obama/Hillary Clinton. God says Trump will at a stage behave like an anti-Christ. 13. God says the Yoruba nation will unite and rise again. 14. There is going to be sharp misunderstanding between Buhari and Osinbajo as a result of political differences. 15. God says any party that fields Buhari for the 2019 presidential election will be fielding liability as his candidacy will make the party lose the election. God says this will be so because Buhari has disappointed God by his failure to carry out His instruction as published in my 2016 predictions by national dailies to “wage war against corruption, execute God’s fierce judgment on those who sinned against God by looting as well as for his failure to demonstrate love to the poor by alleviating their suffering. God says for these reasons, He has torn his government and given it to another man after His heart to rule Nigeria. God says Buhari will continue to have problem till his last day in Aso Rock and people will continue to hate him because of his failure to rule with the fear of God. 16. To show the extent to which Buhari’s disappointment is grieving God, God says he has rejected Buhari just like He did to Jonathan and even his people the Hausas will reject him come 2019. In the presence of Almighty God as revealed to me, Buhari have become a complete disappointing king/failure just like king Saul in the bible. 17. God says the name Atiku Abubakar will continue to ring like a bell. He will be so popular among Nigerian politicians to the extent that many will root for him. 18. God says should Atiku Abubakar contest the 2019 election, he will defeat Buhari hands down. 19. The 2018 Governorship election in Ekiti state will cause a sharp division in the APC camp because of the inordinate ambition of some of their self-centred leaders. The party in the state will break into three factions as revealed to me by God. 20. God says the APC is being faced by three major problems of backbiting, unnecessary petition against former leaders and total hijack of the party structure from pioneer members. 21. Tambuwal and David Mark will be drafted to contest the 2019 Presidential election but God says the cabal of our nation will prefer Governor Tambuwal of Sokoto state. 22. Nigerians should pray against fire accident in the coming year. 23. God says that except that the Nigeria nation repent of the sin of its leaders who killed innocent souls, sin of FESTAC ’77 and sin of corruption which placed the country under the curse of the Almighty, the country’s problem will continue. 24. Prophet T. B. Joshua should pray seriously to avert sickness. 25. General T. Y. Danjuma should also pray against sickness. 26. God says I. B. B. will continue to remain in sickness. 27. God says for Buhari to have taken the problem of Nigeria to Kaaba in Mecca as if there is no God in Nigeria and rather than motivate the entire nation to fast and seek the face of God, He [God] will continue to raise adversaries against his government and Nigerians will continue to hate him. Read also: Prophetic Predictions By The Same Prophet Who Predicted Buhari’s Electoral Victory: Break Up Is Imminent In Nigeria Without War, Those Who Left PDP To APC Will Return Back. 28. God again warned that should the APC field Buhari in 2019, the broom will be broken and thrown into fire just like I predicted to PDP in 2014. 29. God Almighty says President Buhari is too rigid and stubborn. God says the President has set aside His mandate for him to cleanse the nation of corruption. God says He is only giving the President the grace to motivate Nigerians for special repentance prayer. 30. Serving ministers in Buhari’s government should watch their steps as the President is set to drop some of them and reshuffle his government. 31. God says Governor Aregbesola of Osun state will continue to swim in problems until he gets out of office as a result of the recognition he gave to the Osun Osogbo idol. 32. God says he will inflict those who loot Nigeria treasury with sickness. They will henceforth be inflicted with dreaded sicknesses that will lead to untimely death unless they repent. 33. God says Goodluck Jonathan will never win any election again in Nigeria as a result of his sin against the Almighty. 34. God says 2019 election will be tougher than the 2015. 35. The executive and the National Assembly will go on a serious collision course in the coming year. Buhari should be careful lest he is accused of non-implementation of budget. 36. Nigerians should pray for Awujale of Ijebu land. 37. Those who say the Biafra nation will not materialise are dreaming for the Igbos have taken their case to the creator of the universe and He has granted their heart desire. 38. PDP will bounce back to become a formidable party in Oyo state again. 39. Buhari should watch his steps to avoid impeachment. 40. As revealed by God, should Buhari fail to take it easy with the people of the South-South and South-East and go ahead to use military power, Nigeria may go to civil war. 41. As revealed by God, a new generation of military officers will in future overthrow the government of Nigeria to clear the rot perpetrated by reckless politicians. 42. Before 2019, there will be amalgamation of political heavyweight and political party that will give the APC sleepless nights. 43. The on-going war against corruption will soon lose value as the President will bend the rules and soft pedal because of inordinate and self-interest. 44. A prominent artiste will fall sick in the coming year. 45. Nigerians should pray for Baba Sala. 46. Come 2019 general election, PDP will fight the APC to a standstill. 47. APC should forget about winning 2019 election for another government will emerge that will probe their government. 48. 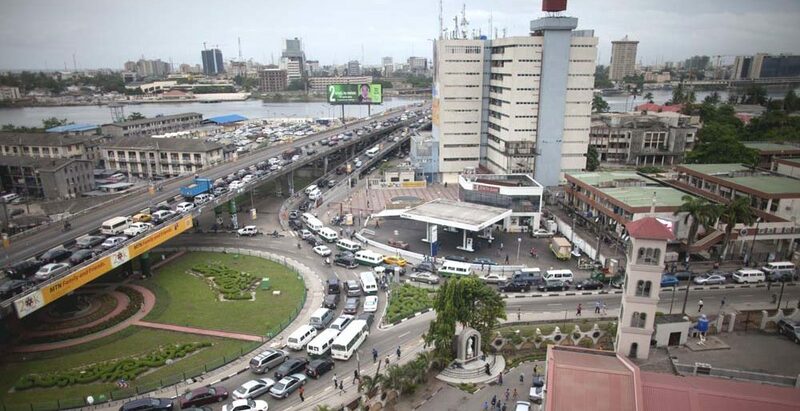 Lagos State Governor, Akinwunmi Ambode should be prayerful to avoid being at loggerhead with the elite. He should also pray to avert sickness. 49. Another strong party will emerge before the 2019 election. 50. God Almighty who revealed to me in my 2015/2016 prediction that Buhari is not the Messiah says the promised Messiah will use his mandate to settle all problems confronting Nigeria. The said Messiah will conduct a referendum so as to peacefully break Nigeria without civil war. 51. God says three out of the four pillars that are holding the APC have broken down as a result of their greed, inordinate ambition, stubbornness, favouritism, tribal and religious sentiment and therefore their days in government are numbered. 52. God revealed to me and I saw the map of Nigeria torn into five, by this no amount of peace talk can prevent Nigeria’s disintegration. It is a matter of time.